An 8″ chocolate cake and a 6″ vanilla cake iced with vanilla buttercream. 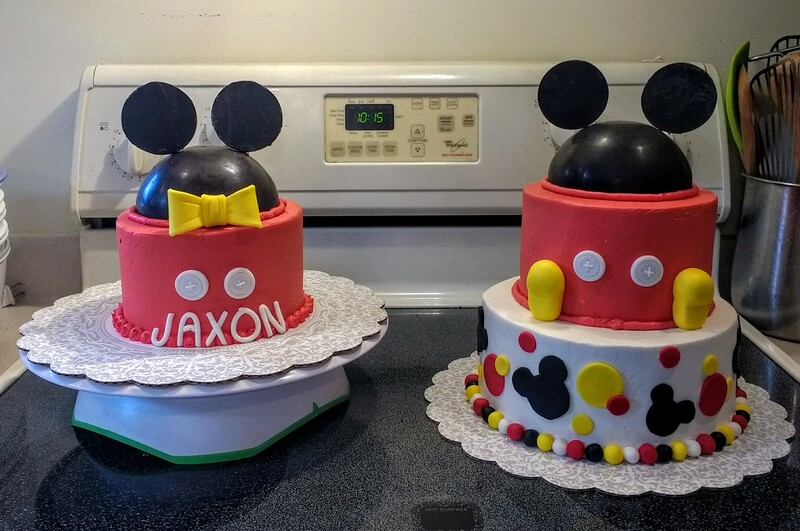 The Mickey “heads” and ears are made out of chocolate. All other decorations are made from fondant. 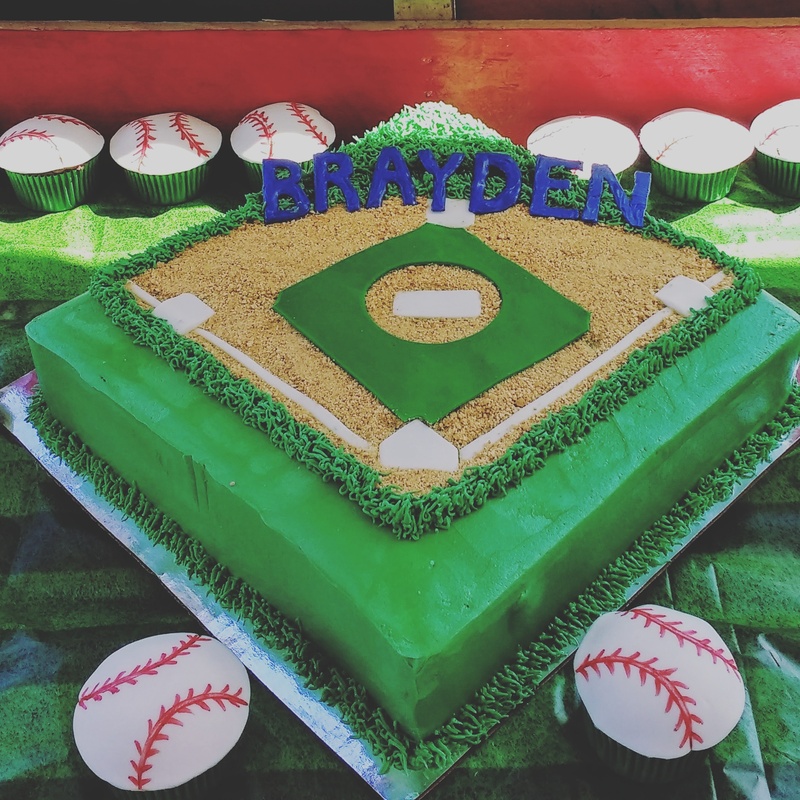 The smash cake is a 6″ chocolate cake iced with vanilla buttercream, a chocolate head and fondant decorations.